Haryana, situated in the basin of major perennial river systems, has been a dominant agricultural economy since its inception in 1966. The incessant push toward its agricultural sector, led by the Green Revolution in the late 1960s, further intensified agricultural practices in the state. As a result, agriculture contributes a 14 percent share of the central pool of agricultural produce, despite covering merely 1.37 percent of the total geographical area of the country (Indian Council on Food and Agriculture Report on Haryana Agriculture and Farm Welfare, 2017). According to a recent survey by Indian Council for Agriculture Research (ICAR, 2017), 80 percent of the total 4.42 million hectares of land area in Haryana is under agricultural cultivation. The same poll also suggests that one million hectares of land in Haryana falls under the wheat-paddy cycle. Haryana contributes significantly to stubble burning, which relates to issues of paddy harvest. This essay attempts to examine the issue of stubble burning and its impact on the environment, and also suggests potential solutions. The practice of stubble burning began with the use of machine harvesters in the 1980s. The technology saved several man days on the field, but the higher quantity of mechanical harvest resulted in greater crop residue being generated. Typically, the stubble from paddy harvest waste has to be dealt with within two to three weeks, once the Kharif cycle (which runs from July to October) is over. This is because the cusp period between one harvest and the next crop sowing is limited. Furthermore, although the wheat crop residue from the Rabi cycle is used as fodder for cattle, paddy stubble is not fit for cattle consumption due to the presence of excessive amount of silica. According to a report by the Haryana Space Applications Centre (2017), a state agency monitoring stubble burning using satellite imagery, 207.7 thousand hectares of land under rice cultivation was burnt the preceding year merely for the sake of lower cost and the timely disposal of stubble. thereby hugely triggering respiratory and heart problems, and worsening the quality of air in National Capital Region (NCR) of India. As a result of these factors, stubble burning is responsible for aggravating environmental, ecological, and health related hazards, as discussed in the following section. 1. Reduced soil fertility. The nutrient ecosystem of soil is substantially altered with stubble burning. For instance, carbon, nitrogen, and sulphur, which are essential constituents of soil fertility, are lost in massive proportions. Existing minerals in the soil are adversely affected by stubble burning, thereby negatively impacting the subsequent cropping cycle. A substantial chunk of organic matter in the top layer of soil which significantly contributes to its fertility is destroyed due to the heat produced by stubble burning. The cumulative impact of this is reduced productivity of soil. Table 1 below depicts a snapshot of this loss in soil minerals owing to stubble burning. 2. Greater use of fertilisers and pesticides. In order to compensate for the loss of fertility, chemical-based fertilisers and pesticides are increasingly used in successive years due to decreasing soil fertility (as a result of stubble burning, and excessive use of chemical fertilisers, recurrent wheat-paddy cycle, etc.). The use of chemical additives to strengthen soil fertility has also, in recent years, been unable to cope with this loss in fertility. 3. Adverse health outcomes. As noted above, carbon monoxide, nitrogen dioxide, and oxides of sulphur are released in vast quantities due to stubble burning, thereby causing air pollution. These gaseous emissions give rise to health risks, diseases such as asthma, chronic bronchitis, decreased lung function, as well as eye, and skin diseases. 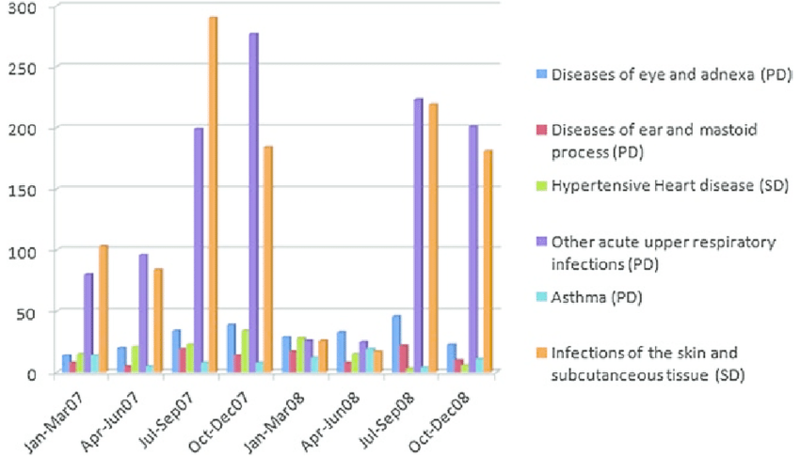 Figure 1 below shows the increase in the number of patients of respiratory and skin infections in a sample village in Punjab in the months of crop residue burning. It is important to note that the graph shows the increase in number of cases of skin and upper respiratory infections among residents of Ajnauda Kalan village, Punjab, during and after the months of stubble burning. It shows that, during the months of paddy crop harvest, i.e., from September to November, cases of skin and respiratory diseases increased considerably with an average of around 70 cases of skin infections, and 66 cases of respiratory infections being reported to the local dispensary every month. The approximate average of respiratory and skin infections reported in other months was 6 and 8 cases per month, respectively. It can, therefore, be inferred that stubble burning impacts public health, and needs to be addressed to improve overall human development indices. 4. Other ecological damages. In addition to the deleterious effects on public health, stubble burning threatens natural resources and biodiversity. 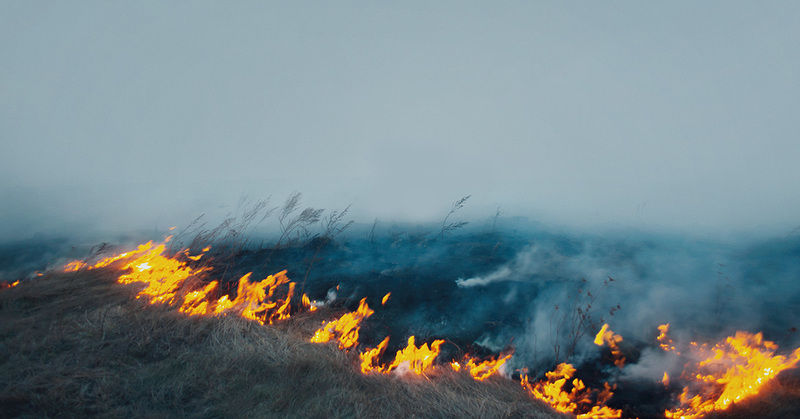 For instance, crop residue burning pollutes water bodies and terrestrial ecosystems, and the smoke emitted from its combustion reduces visibility, significantly leading to numerous ecological and biodiversity threats, impacting natural resources, forests, and larger eco-systems (Kumar et al., 2013). The US embassy data calculated as per Indian standards of SAFAR, MoES- IITM-IMD states that Punjab & Haryana contribute to 48 per cent of the total emission due to paddy burning across India (Chakravartty & Nasim, 2015). It is estimated that India emits 1,44,719 mg of total PM in the atmosphere because of open stubble burning every year (Nasim, 2015). In order to ameliorate problems of stubble burning, the following recommendations are proposed. First, commercialising paddy straw as a viable solution to stubble burning was proposed by M.S. Swaminathan in his recommendations on agriculture. At present, the government of Haryana aims to propel crop residue management by targeting farmer needs and providing each administrative entity a privately owned, but subsidized infrastructure to cater to the situation. The Haryana Agriculture University in Hisar has been granted a sum of ₹ 40 million by ICAR to expedite crop residue management (Times of India, 2018); however, the university has not yet made its plan public. Innovative methods exploring partnerships steered by communities and the public sector could be explored in this regard. An innovative infrastructure based on such community- driven, public partnerships are essential where the community as a whole comes together with public aid for procurement and management of infrastructure facilitating social welfare. Such an approach shall also mean well toward targets envisaged under Sustainable Development Goal (SDG) 17 on building institutional and collaborative partnerships, in addition to, outcomes under SDG 2 on sustainable agriculture. Second, crop residue management machinery must be procured effectively. The present Custom Hiring Centre (CHCs) of the Government of Haryana whose establishment is subsidised up to 40 percent (Department of Agriculture, Government of Haryana, 2016-17) is a private enterprise responsible for providing technological infrastructure for crop residue management to farmers. However, it is important to have administrative checks and balances for the effective management and functioning of institutions such as CHCs. Without adequate checks, in the long run, entities such as the CHCs may drift away from their objectives of farmer welfare. Third, the Central Electricity Authority (CEA), Government of India, has directed the use of stubble briquettes as 10 percent of the total raw material in thermal power generation. In accordance with this directive, the National Thermal Power Corporation (NTPC) issued a document stating its interest in the use of stubble briquettes, as an alternative source of fuel for its thermal plants. As per communication with the Office of the Manager at PE-MECH, NTPC Ltd, the organisation is nearly ready to issue tenders for such stubble-based briquettes. This will help in sustainable commercialisation of stubble waste to the farmer, and help diversify farmer incomes. The office of Chief Engineer, Rajiv Gandhi Thermal Power Station (RGTPS), Khedar, Hisar, Haryana suggested the same along the lines of NTPC. If this is done, then the RGTPS alone will consume 2,000 tonnes of stubble briquettes daily. Further, stubble briquettes are required in coal-based boilers in industries, which would further increase the commercial viability of such a model. It is, therefore recommended, the Government of Haryana should compulsorily allow usage of stubble briquettes in thermal power production. Fourth, biogas can be produced by using any form of organic material, including stubble. Use of stubble and other organic material in biogas plants yield biogas (with methane as its prime component), and organic slurry as by-products. Both methane and organic slurry are highly commercially viable products. Methane is widely sought after as a fuel in multiple industries and is also a cleaner fuel to use. In fact, it has the potential to recover the cost of the biogas plant in seven years, as reported by Electrigaz Technology, Canada in 2017. The slurry that is obtained can be used to help agriculturalists initiate organic farming, and consequently shift toward sustainable agriculture. An excellent example is that of the Sirsi block in Karnataka, where 65 percent of the households are completely self-reliant on energy production (Bhatt, et al., 2001) via biogas plants utilising organic waste, which includes stubble. Replicating similar such models in Haryana will not only help address the challenge of stubble waste management, but will also better the system of municipal waste management. Furthermore, the harsh rules on Power Purchase Agreements of electricity distributors in Haryana deter the biogas plants owners to extract optimum benefits. Amendments to these agreements will further help commercialise stubble management and increase agricultural incomes. Fifth, stubble has immense usage in horticulture, especially mushroom production, which can be widely encouraged using waste stubble. The use of stubble in mushroom production, if done in the form of a cooperative, where individuals from a community pool their stubble and other resources in production, and sell their produce as a group will help increase their incomes, both via using stubble waste and via crop diversification. For instance, according to statistics (Singh, 2010) for every one kilogram of mushroom produced, around 4-5 kilogram of stubble is required. Establishment of such mushroom production units, therefore, can prove useful in addressing concerns of environmental degradation, sustainable agriculture, and waste management. Sixth, Haryana as an agricultural dominant state has vast resources of biomass, of which stubble forms a large part. The Haryana Bioenergy Policy (2018) presents the fact that the state has 8,416 thousand tonnes of surplus biomass available for bioenergy and ethanol production. There are huge incentives, exemptions, and tax holidays provided in the policy which can be used toward incentivising energy production from stubble. Finally, establishment of stubble banks in villages, blocks, or at the district level, where farmers can deposit their stubble, instead of processing it individually, could also make a big difference to the ecology of the state. Such stubble banks can be great collection points of stubble for those involved in its processing, thereby saving them effort and financial resources. Stubble burning in the past few years has exploded as among the prime factors contributing to environmental pollution and agricultural distress. Innovative policy considerations towards the diversification and modernisation of the agroeconomy along with broader provisions of safeguards are urgently needed. Political will backed by entrepreneurial rigour is likely to make long strides in mitigating the adverse effects of stubble burning, as well as providing additional sources of income to farmers.